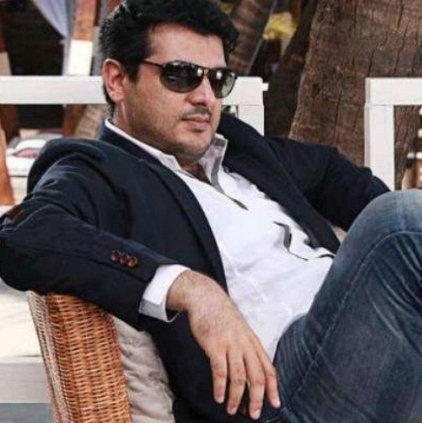 THALA 57: CHENNAI TO HYDERABAD? Thala 57 team, which recently completed a schedule in Europe, had planned to can a small portion in Chennai before they embarked upon their Hyderabad schedule. The Chennai segment reportedly involved shooting in a house set up which was meant to belong to heroine Kajal Agarwal. However, due to reasons unknown, the team has reportedly shifted this portion also to Ramoji Rao Film City in Hyderabad. Thala 57, besides the leads, has Akshara Haasan, Karunakaran and Thambi Ramaiah in pivotal roles. Anirudh scores music and Vetri is in charge of the cinematography. People looking for online information on AK 57, Kajal Agarwal, Thala 57 will find this news story useful.